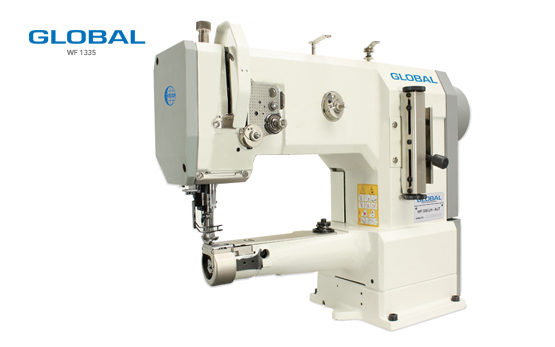 WF 1335 series - Global International B.V.
– Single needle, cylinder arm, needle feed, walking foot machine with regular hook. – Same as WF 1335, but equipped for binding work (binder not included). – Same as WF 1335, but equipped with large capacity hook. – Same as WF 1335 B, but equipped with large capacity hook.